Liberty Counsel Issues Warning To Trump: Pam Bondi Isn't Anti-LGBT Enough To Be Your Attorney General - Joe.My.God. When lawsuits were filed in January 2014 against Florida’s Constitutional amendment affirming marriage as one man and one woman, Bondi refused to defend the case until just before the hearing in July. Many people called upon Pam Bondi to defend the marriage amendment, but she refused to enter the case until the last minute. I was in Miami on July 2, 2014, to defend the law as an intervenor. For months, Bondi refused to defend the law. At the last minute, an attorney from Bondi’s office showed up, but he was not prepared. His argument on behalf of the state lasted only four minutes! I have never seen such disgraceful, incompetent work. It was obvious Bondi did not want to defend the marriage amendment. Had I not been present, there would have been no defense of the law. The plaintiffs had not presented any evidence to support their factual allegations. I was livid, because the state of Florida at the direction of Pam Bondi sabotaged the case with no fight. When I complained to the attorney, he told me he was following the orders of Pam Bondi. Pam Bondi would be a disaster for U.S. Attorney General. President Donald Trump deserves someone who is competent, not afraid to take on unpopular issues, and who is willing to work hard. Bondi is not the right choice for this very important position. Mr. President, please do not pick an attorney general like the one we have had in Florida under Pam Bondi. As those of you who followed along here on JMG well know, Bondi tried every legal trick in the book to stop marriage in Florida and even tried to block the legal fees later awarded to the plaintiffs. 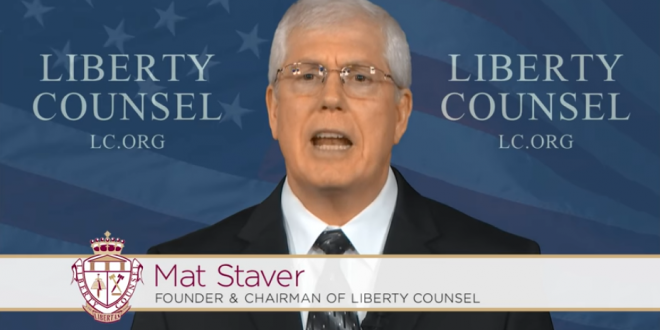 But apparently she wasn’t nasty enough about it to suit Mat Staver.